For wholesale inquiries, please visit our wholesale page. 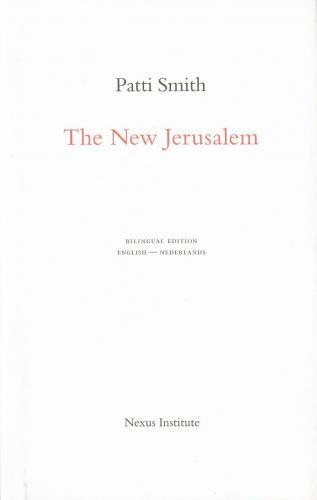 The New Jerusalem, the new book by poet and punk legend Patti Smith. This long prose poem in the tradition of John's Revelation and the poetry of William Blake shows a prophetic vision of art and humanity, faith and freedom; an image of the escape from the rituals of power and the mechanisms of social control. This beautiful bilingual (English & Dutch), bound edition features color illustrations and photos by Patti Smith and is irresistible to the real bibliophile. The introduction by Rob Riemen discusses the relationship between art and spirituality in the poem by Patti Smith and in art in a general sense.